State of the Industry 2017: If Nevada’s Wine Glass is Half-Full, What Would Fill It? Nevadans are growing grapes, and Nevadans are making award-winning wine. The state has serious vintners taking their wine to market. 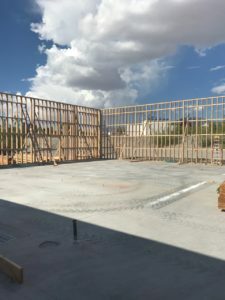 Notably, an urban tasting room is launching this fall in each of Nevada’s two largest counties, and at both ends of the state there’s a place to learn the craft of winemaking. On the legislative front, the wine community has been active, first lobbying successfully in 2015 to remove ban on commercial tasting rooms in Washoe and Clark Counties. This year, state law was further revised so that several wine producers can locate under the same roof, allowing them to split the daunting cost of breaking into the business. It depends who you ask. Members of Nevada’s wine community agree on many things. Above all, they’re unanimous that Nevada needs more home grown grapes. But two significant disagreements divide them. The first is whether more revisions to state law would boost the industry. Advocates of wine as a tool for economic diversification cite Nevada’s statutory production cap as an inhibitor to large-scale investment here. “Production cap” is, in fact, short-hand for a more complicated regulation. Nevada vintners can’t produce more than a thousand cases without triggering a requirement for 25 percent Nevada-grown grapes. With Nevada grapes in short supply, and new vineyards requiring 3-5 years before they produce a payoff, the law is a disincentive for serious winemaking operations, says Teri Bath, president of Nevada Vines & Wines, a Reno-based nonprofit whose mission is promoting a Nevada wine industry. “We’re in this to create an industry and create jobs,” Bath told GBN. She says it’s foolish to expect sizable vineyard investments when it’s illegal to sell more than a thousand cases while you wait for your Nevada vines to mature. The second disagreement arises from the first. 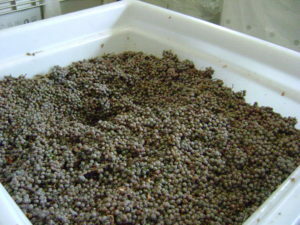 Nevada wine isn’t Nevada wine without Nevada grapes, according to Bill Loken, a supporter of the cap-and-quota statute. His prescription for Nevada is straightforward – grow more grapes, and require producers to use them. 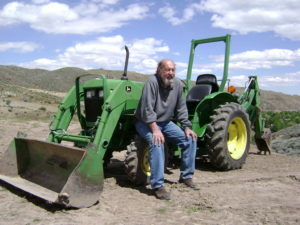 Loken owns the Pahrump Valley Winery, where they’ve undertaken a $2 million expansion timed for a rush of in-state fruit expected to come from his one-man campaign to persuade alfalfa farmers to convert their fields to grapes. The effort has generated new vineyard acreage throughout the state, in part because of Loken’s assurances that he’ll purchase whatever the growers can produce. Loken’s money is where his mouth is, in full adherence to his defense of the quota-and-cap. Lowering the statutory requirement for local grapes or raising the case limit would threaten the Nevada industry, he says. Mega-wine producers in California would see value in a Las Vegas strip presence, for instance, swooping in with their own grapes, calling themselves Nevada wineries, and edging out our own producers. This argument also summarizes the position of Nevada’s large alcohol distributors, whose lobbyists testify to the California threat when the legislature considers loosening winery restrictions. The counter-argument says more business in Nevada is better, even if it didn’t originate here. Teri Bath of Vines & Wines suggests requiring California wine producers to also feature Nevada wines if they want a presence here. The Nevada Wine Coalition agrees. Executive Director Randi Thomspon points to the so-called Tesla effect, which raised Nevada’s profile among technology companies, and stoked interest in the Reno-Sparks-Tahoe region as a business destination. Bath and Thompson have deep northern Nevada roots, and both have lived through decades of talk about economic diversification. “Excuse me, don’t we have billboards on I-80 in Sacramento saying ‘come to Nevada?’ Why can’t we allow wineries to come here?” asks Thompson. Loken is quick with back-of-napkin calculations (actually performed on a smartphone) demonstrating that a small winery can earn a respectable profit producing a thousand cases with the current grape quote in place. But at Twin Mustang Vineyard in Sparks, Jason Schultz says his mom-and-pop operation can’t make a go of it on a thousand cases. His research comes from extensive conversations with the family wineries operating in the Sierra Foothills. “By ‘make a go of it’ I mean if there’s two of you — a husband and wife, two partners — one of you can stop your job once you reach… four or five thousand cases,” Schultz told GBN. Until the cap is lifted, Schultz says, he’ll most likely keep his day job and the winery will be an avocation. 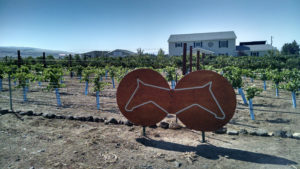 That day job – he’s an expert in planning and permitting who’s worked for both Washoe County and the City of Reno – was useful in helping to shape a Washoe County ordinance allowing a winery on rural-residential property. But the county’s blessing is only the beginning. The cost of planning a full-scale winery with tasting room on his 10-acre residential parcel extends far beyond the cost of the vineyard itself. They can’t be met by selling a thousand cases, Schultz says. Nevada’s wine community is really two wine communities, with the north and the south operating at different speeds and on different wave lengths. While Southern Nevada’s wine business is in go-mode, commercial activity in the north shrunk last year with the closure of Tahoe Ridge Winery. Fallon’s Churchill Vineyards had its biggest harvest ever in 2016, with a slightly smaller one this year, says Churchill’s Ashley Frey. 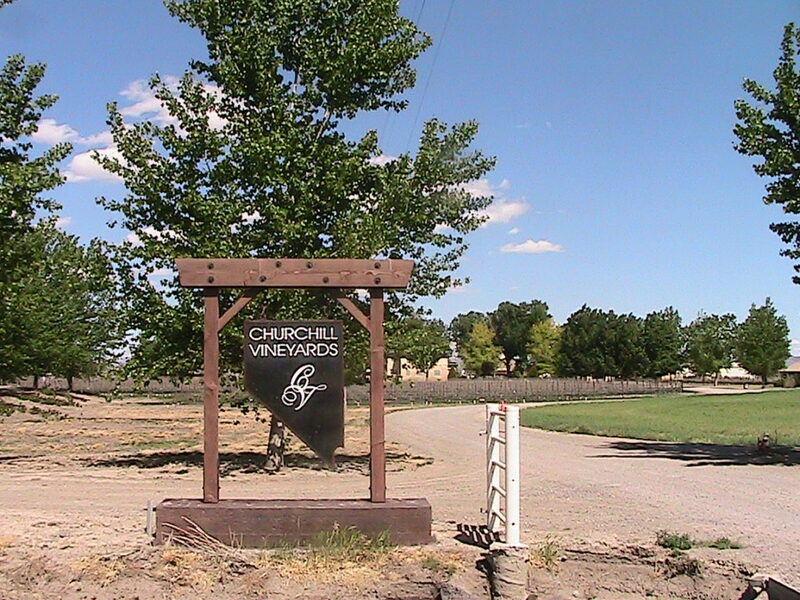 Churchill is committed to producing wine, but placing a growing emphasis its Frey Ranch distilled spirits business. “It is easier to grow grains in our climate than grapes, and expanding production in the distillery is more feasible than planting a new vineyard…20K per acre and waiting 5 years,” Frey told GBN in an email. Story continues below. The north also boasts an ardent community of hobbyists who are conceptually aligned with aspiring professionals to promote Nevada viticulture. But many of the most active members have no real interest in commercial activity. Many producers agree that a north-south alliance of some kind could be valuable on some level, but nobody articulates a reason to create one, or what it might achieve. And some wonder what happened to the state’s initial nod to the industry as a means to economic development. A 2013 report from the Governor’s Office of Economic Development identified “wine grapes and vineyards” among “expanded agriculture opportunities” for diversifying the Nevada economy. But little institutional support has developed. A Sandoval administration insider who asked not to be named suggests that the GOED has bigger fish to fry, and so does the governor himself. Although further changes to the law would encourage growth, the industry should not expect the governor’s office to use its political capital to boost Nevada wine, the source said. At the University of Nevada, where the state’s viticulture experiment was born, administrators have ended a program that allowed volunteers from the community to learn by tending the vines. Some of those former volunteers have planted their own vineyards, but the university is no longer a cheerleader for the effort. Nevada’s lone show of support for its fledgling wine industry is a desert farming grant program that includes viticulture. The Specialty Crop Block Grant program funded a new viticulture program last year at the Desert Farming Initiative, Department of Agriculture spokesperson Rebecca Allured told GBN. At both ends of the state, there are places to learn from experienced winemakers. In the north, Nevada Vines & Wines sponsors a wine academy modeled after the original UNR program, where students “adopt” and care for a row of vines, harvest the fruit, and then make wine. In Las Vegas, Grape Expectations Nevada School of Winemaking has produced hundreds of trained winemakers. At UNR, Dr. Grant Cramer has started a new class for enrolled students on alcoholic fermentation technologies. “How to grow grapes and hops, make wine and beer and determine their qualities,” the online description says. A science background is required, and the class is worth 3 elective units toward a degree in the sciences. 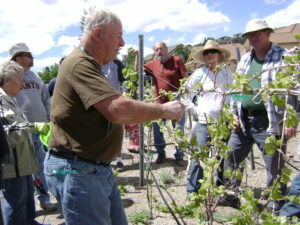 Cramer, who was an early advocate of Nevada viticulture, also teaches a twice-yearly weekend class that’s open to the public through Cooperative Extension. Nevada’s wine industry has a leadership void, says Bill Coplin, a veteran winemaker who was the first president of Nevada Vines & Wines. By which he means commercial heft, and a complement of entrepreneurs to lead the charge. Some young blood wouldn’t hurt, either, and Coplin says he knows several contenders who could conceivably become the face of the industry. Schultz of Twin Mustang says wishes the wine producers would unify. Not just southern and northern unity. He’d like to see more unity within the northern wine community itself. 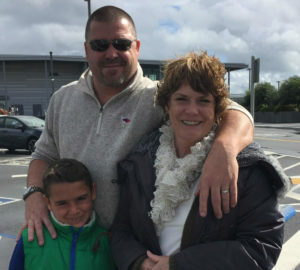 “If everyone just goes their own way, we’ll never get anywhere,” he said. Schultz also believes an alliance of alcohol producers including brewers and distillers might be useful. In the south, Bill Loken is focused on growth at Pahrump Valley Winery, and doesn’t see how a formal alliance would advance the cause.